Wreck It Ralph: For decades, Ralph has played the bad guy in his popular video game. In a bold move, he embarks on an action-packed adventure and sets out to prove to everyone that he is a true hero with a big heart. As he explores exciting new worlds, he teams up with some unlikely new friends including feisty misfit Vanellope von Schweetz. Then, when an evil enemy threatens their world, Ralph realises he holds the fate of the entire arcade in his massive hands. 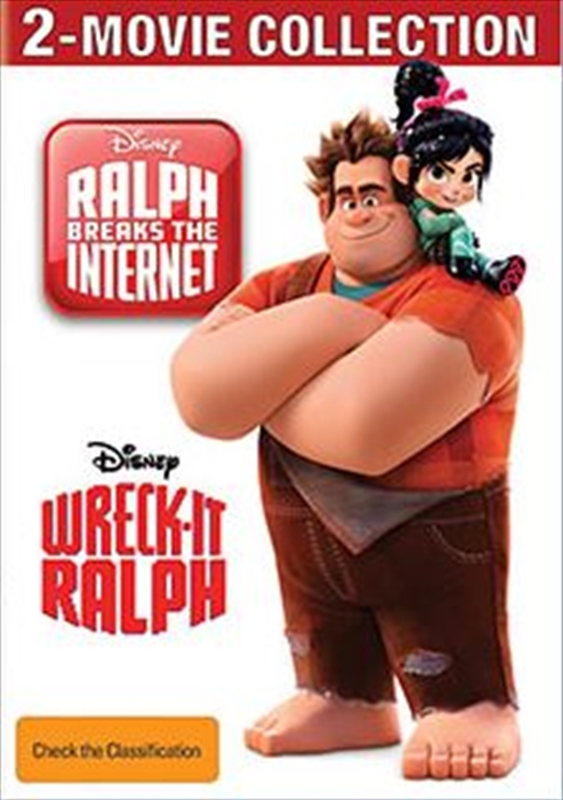 Ralph Breaks The Internet: In "Ralph Breaks the Internet," video-game bad guy Ralph (voice of John C. Reilly) and best friend Vanellope von Schweetz (voice of Sarah Silverman) leave the comforts of Litwak's arcade in an attempt to save her game, Sugar Rush. Their quest takes them to the vast, uncharted world of the internet where they rely on the citizens of the internet--the Netizens--to help navigate their way. Lending a virtual hand are Yesss (voice of Taraji P. Henson), the head algorithm and the heart and soul of the trend-making site "BuzzzTube," and Shank (voice of Gal Gadot), a tough-as-nails driver from a gritty online auto-racing game called Slaughter Race, a place Vanellope wholeheartedly embraces--so much so that Ralph worries he may lose the only friend he's ever had.